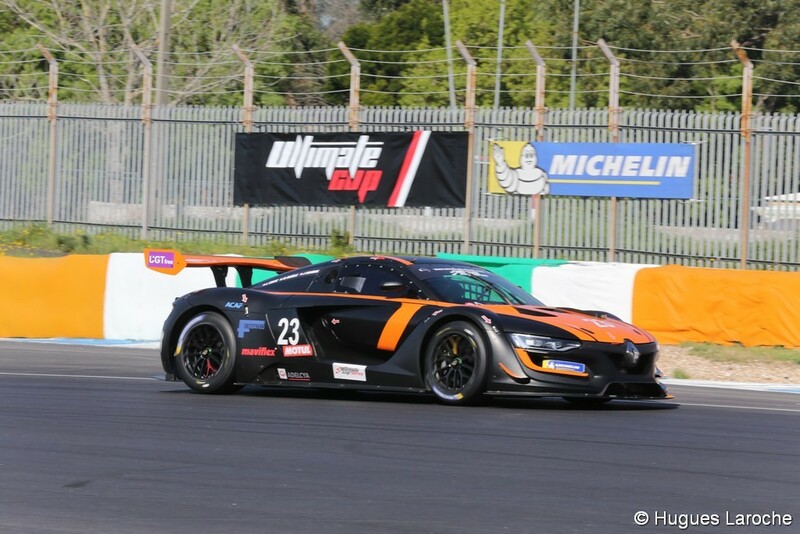 After securing pole position on Saturday, DEMJ’s Renault RS01 n#23 finished the job by winning the inaugural race of the GT Challenge in the Ultimate Cup Series at Estoril. The RS01’s finished 1st and 2nd, with AB Sport Auto’s n#46 taking second place. 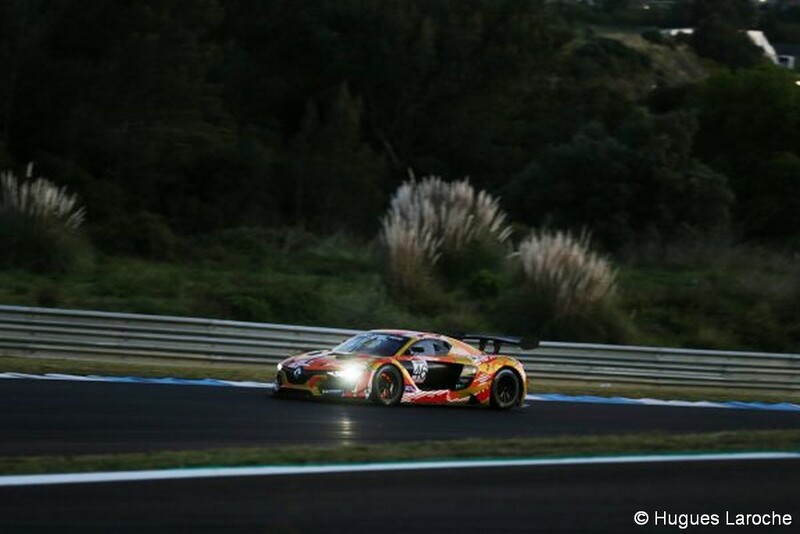 The FOENIX by Solution F n#87, with Jonathan Cochet behind the wheel, took the lead but the RS01 n#23 driven by Lucien Crapiz was faster and secured 1st position, the FOENIX maintained second position after Team Visiom’s Ferrari 488 GT3 had issues. The italian car suffered from electrical issues and by the time Thierry Perrier got going again, he was five laps behind. After an hour into the race, the RS01 n#23 was almost 20 seconds ahead of the RS01 n#46 and 30 seconds in front of the FOENIX. 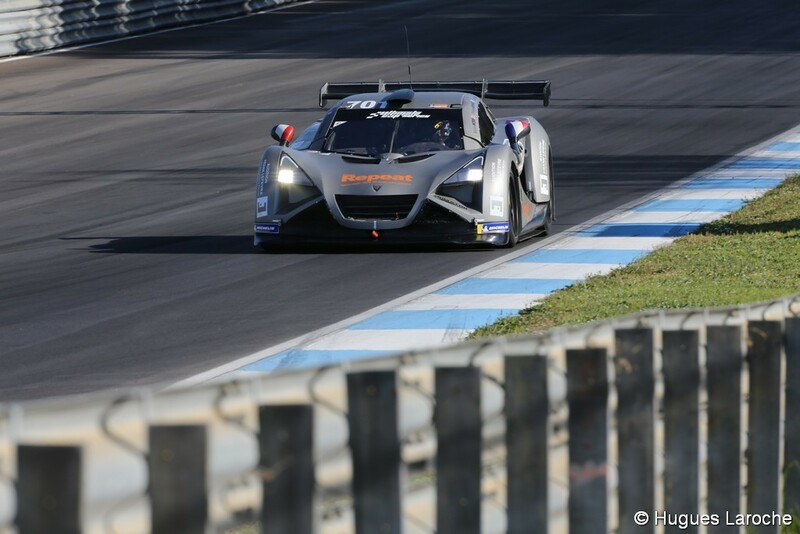 Crapiz, in n#23 handed the car over to Massimiliano Mugelli after finishing his 35th lap. In the RS01 n#46 Proust prolonged his stint to the 60th lap, before handing the car over to the young former single-seater driver Gregory Segers. The three Renault RS01’s were 1st 2nd and 3rd at this point, since the FOENIX was struggling with serious issues and was far behind. The two Renaults in 1st and 2nd position were two laps ahead of AB Auto Sport’s second RS01, car n#45 driven by Franck Thybaud, Sebastien Chardonnet and Jorge Domingues) and five laps ahead of the Ferrari. Mugelli and Segers had picked up a fast pace, and thanks to the refuelling strategy, Segers was in the lead with one hour to go. The RS01 #45 was no longer 3rd and had fallen to the back of the pack, whilst Jonathan Cochet had worked well in the FOENIX to get back to fourth, with one lap behind the Ferrari. During his stint, Jonathan Cochet set the fastest time of the race with a 1’34.710 lap. 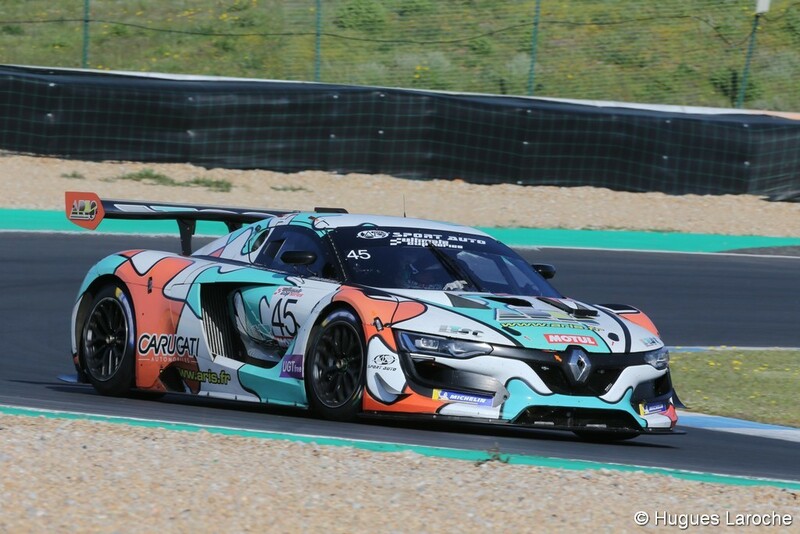 During the last hour of the race, the Renault RS01 by DEMJ was running well as Lucien Crapiz and Massimiliano Mugelli were the best part of a minute in front of AB Sport Auto’s RS01 n#46. 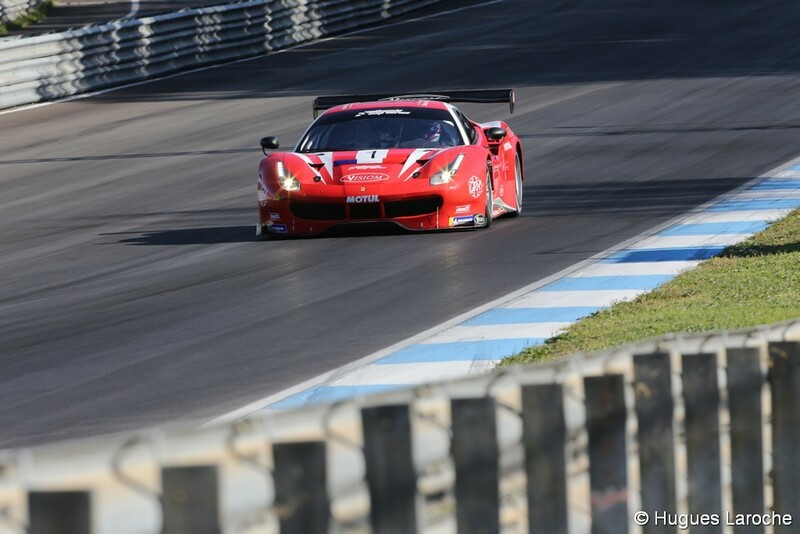 Visiom’s Ferrari driven by Jean Paul Pagny, Thierry Perrier and Jean-Bernard Bouvet completed the podium with 5 laps behind the leaders. 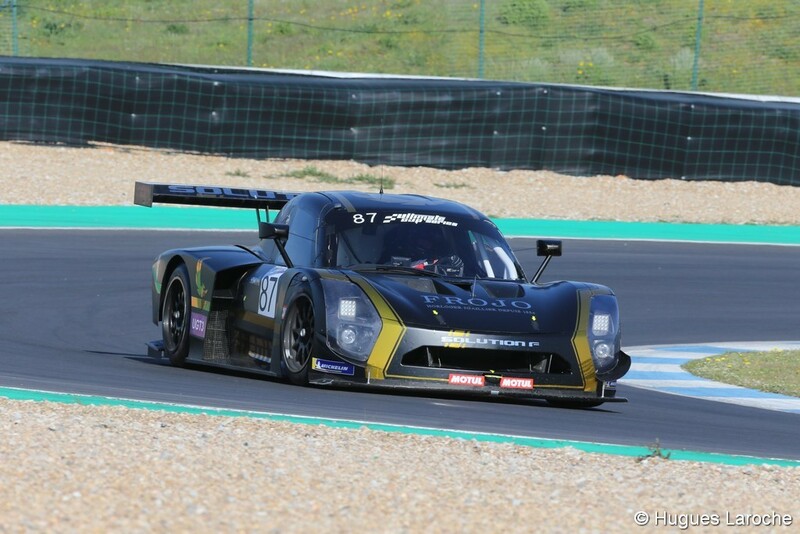 The FOENIX n#87 finished fourth in front of VORTEX’s car n#701 with Arnaud Gomez Philippe Bonnel and Frank Lefevre at the wheel.